The JohnsonDiversey Taski Smart Vacuum Cleaner is an innovative cordless battery powered vacuum clean er. The vacuum features state of the art battery technology with maintenance free Nickel-metalhydride (Ni-MH) batteries that provide stable power over the whole discharging cycle and have an ideal ratio between electrical autonomy and weight. The batteries can be easily exchanged due to the "plug and go" system. This gives maximum flexibility and ensures sufficient working autonomy for various application areas. The charging system can hold up to four batteries at a time, whilst the integrated Charging Management System (CMS) monitors and displays the charging status of each individual battery. The batteries, when housed in the vacuum cleaner body, provide an extremely low centre of gravity. Together with the vacuum cleaner's compact size this results in outstanding manoeuvrability. 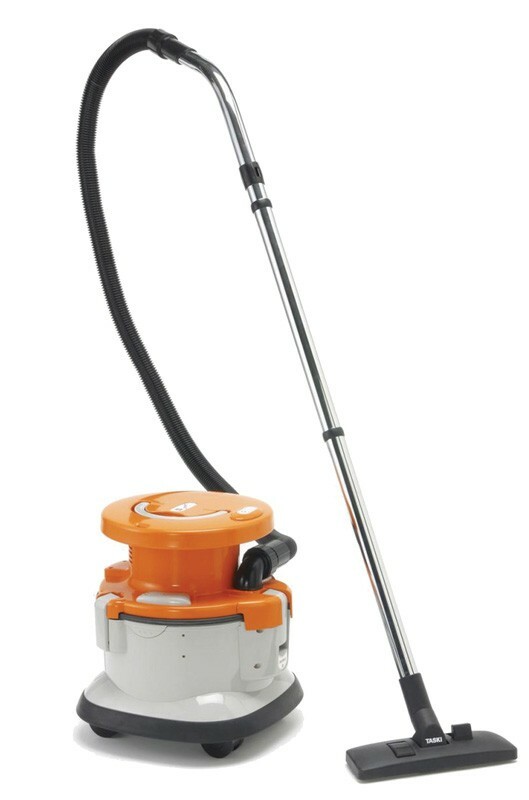 the ability of the vacuum cleaner to follow the user when being pulled by the hose, as well as a non-marking rubber bumper, ensure ideal protection of walls, edges and furniture. 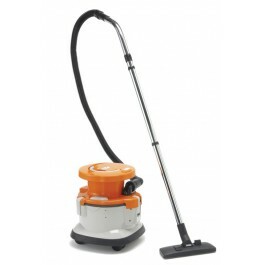 Allows you to vacuum safely without creating potential trip hazards for others. Ideal for use in supermarkets, airports, train stations, etc. Replacement Taski Smart Vacuum Bags available from stock.